Those of us who are fortunate to work directly in the photonics or optical technology fields or are members of the wider technical community, already have an innate appreciation of the transformative nature of light-based technologies and the crucial role they place in our daily lives. Light is not something we take for granted; we recognize implicitly how optical technologies have revolutionized medicine, manufacturing communications, and energy. However, while developed countries have benefited tremendously from these advancements, there are many in developing countries that lack basic access to the very technologies that we consider both commonplace and fundamental for existence. For example, more than one-fifth of the world’s 7.3 billion population has no access to electricity, almost 600 million people living in Africa alone. Without electricity families have no clean source of light, having to rely instead on expensive (and dangerous) alternatives like homemade kerosene lamps; families can spend up to 40 percent of their income just on kerosene. With respect to access to communications, less than 20% of the global internet usage comes from Africa. This disparity in technology richness and its detrimental consequences was recently highlighted by the UN Secretary General, Ban Ki Moon who noted, “Widespread energy poverty still condemns billions to darkness, ill health and missed opportunities for education and prosperity”. As citizens of the world, it is our social responsibility to address the challenge of universal and affordable access to light-based technologies. 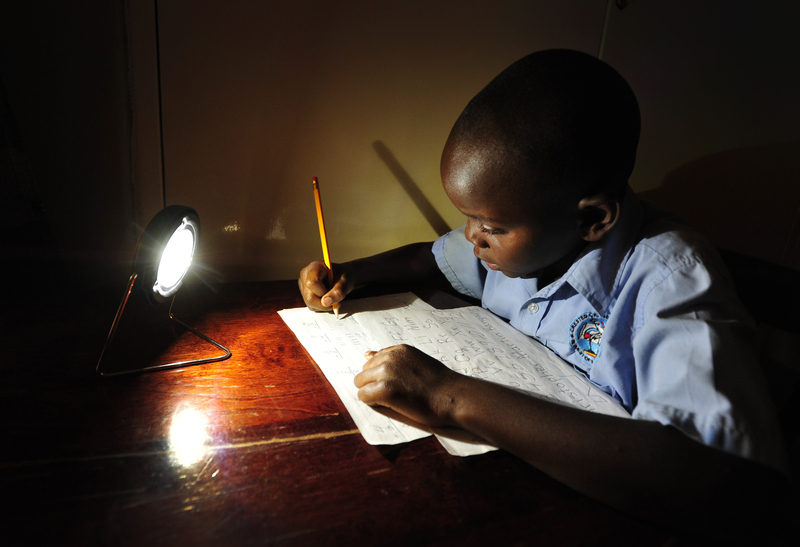 Supplying low cost solar lights to the world’s poorest people promises to have a tremendous impact in this regard. Replacing inefficient kerosene lamps which generate toxic fumes and soot with clean solar lights brings immediate health benefits. The World Bank has estimated that breathing particulate laden kerosene fumes is the equivalent of a two-packet-a-day cigarette smoking habit so it’s not surprising to learn that two-thirds of adult women with lung cancer in developing nations are in fact, non-smokers. Kerosene accidents also kill thousands every year. A number of non-profit organizations are responding to the huge global need for cheap solar lights. Solar Aid is one such international charity, working towards providing access to safe, clean solar lamps in some of the most remote regions of the world. To date they have supplied 10 million people in Africa with access to solar light, saving families hundreds of millions of dollars and providing children with two billion additional nighttime study hours. In late September more than 150 world leaders met at UN headquarters in New York at the UN Sustainable Development Summit to formally adopt a new sustainable development agenda for promoting shared prosperity and well-being for all over the next 15 years. The provision of solar lights to those in need directly underpins a number of the goals of this sustainable development program as well as the mission of the International Year of Light and Light-based Technologies 2015 (IYL 2015). By supporting humanitarian organizations like Solar Aid through the donation of solar lights, our international light community has the opportunity to quickly improve the lives of the world’s poorest people, turning a world of darkness into one of promise and freedom. Let’s all take action today. 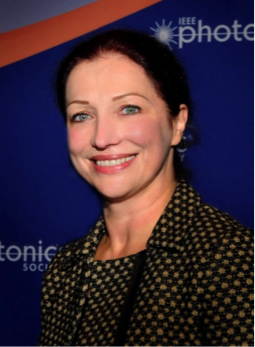 Dalma Novak is currently the 2014–2015 IEEE Photonics Society (IPS) President. She is VP of Engineering at Pharad, LLC in Hanover, MD, where she develops technologies for realizing high performance RF-over-fiber systems. Novak received the degrees of Bachelor of Engineering and PhD from the University of Queensland, Australia. She was formerly a Professor in the Department of Electrical and Electronic Engineering at The University of Melbourne, Australia. Novak was a Visiting Professor at UCLA and the Naval Research Laboratory and has also worked for Dorsál Networks, Inc. and Corvis Corporation, where she led cross-disciplinary R&D teams developing WDM hardware for long-haul transmission systems. Dr. Novak is a Fellow of the IEEE and has published over 300 journal and conference papers, including seven book chapters. As an IEEE Photonics Society volunteer, she has served as Associate Editor of the IEEE/OSA Journal of Lightwave Technology, Associate Editor of IEEE Photonics Technology Letters, Chapter Chair, Secretary/Treasurer and elected member of IPS Board of Governors. She has also served as Chair, General Chair and Technical Program Chair for various IPS conferences, including the IEEE Photonics Conference and International Topical Meeting on Microwave Photonics.